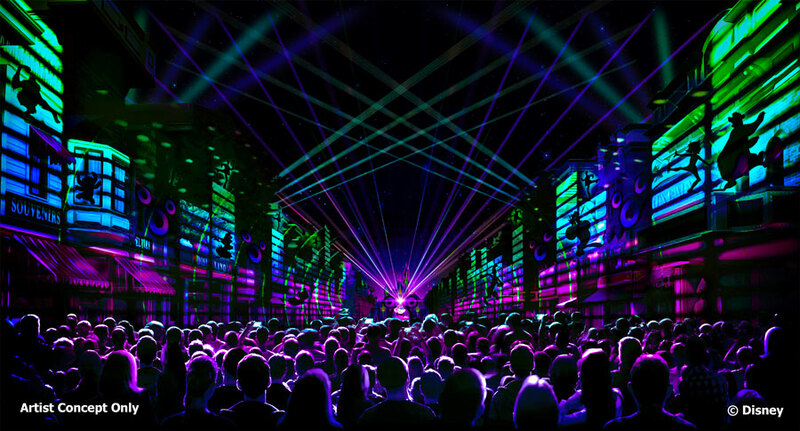 This weekend, we shared with you many of the exciting Disneyland Resort announcements coming out of the Destination D event in Orlando, including Mickey’s Mix Magic, the all new nighttime spectacular, which is being introduced as part of the Get Your Ears On-A Mickey and Minnie Celebration, coming to the Disneyland Resort next year. 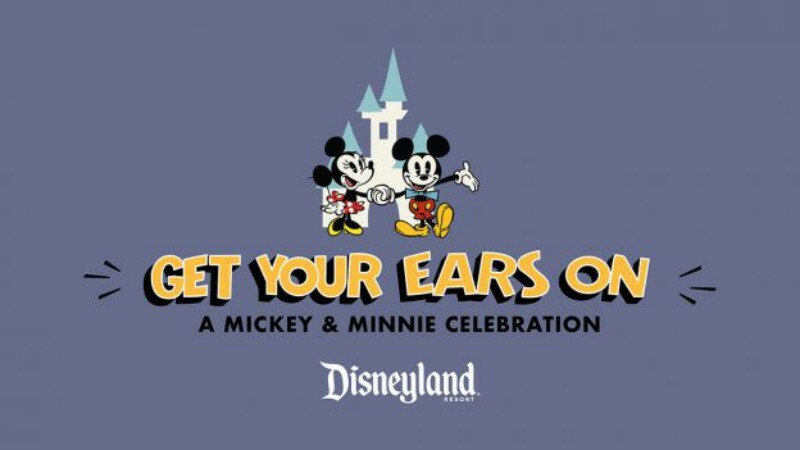 Later, Disney shared even more information about Get Your Ears On, including details of Mickey’s Mix Magic and some exciting news about Mickey’s Soundsational Parade! Mickey’s Mix Magic appears to be a “hybrid” show, presented as a projection show on most nights, then enhanced with fireworks on select nights. The “select nights” will likely be weekends and holidays. The show includes a family dance party atmosphere that spreads throughout Disneyland Park. DJ Mickey will be playing dance twists on his favorite Disney songs. 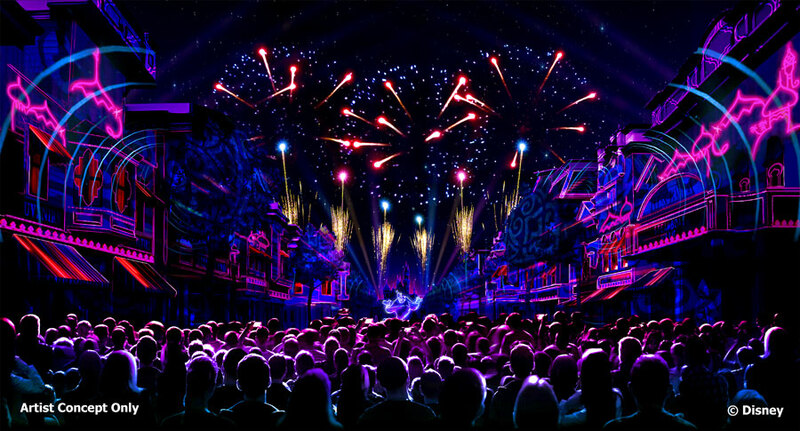 Look for projections, lighting, and lasers on Main Street USA, the Fantasmic! water screens, and the it’s a small world facade. Mickey’s Mix Magic debuts January 18th! Back in August, we reported that Mickey’s Soundsational Parade would be returning to Disneyland Park in January. Bob Chapek, Chairman of Disney Parks & Resorts, confirmed this on Saturday. What we didn’t know back in August, is that when the popular parade returns next year, there will be two new floats! Mickey Mouse will lead the way as before, but the new opening float will be “larger-than-life,” inspired by a classic Mickey pull toy. 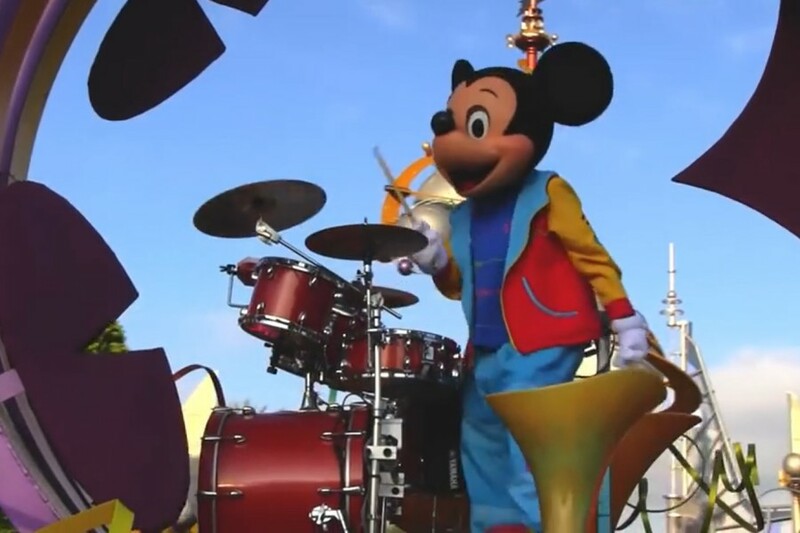 Also, Chip ‘n Dale will be trading in their giant bass drum for a giant celebration cake! Mickey’s Soundsational Parade returns January 25th. Get Your Ears On-A Mickey and Minnie Celebration will continue with seasonal events throughout the year, starting with Valentine’s Month beginning January 22nd. Look for new Valentine’s decor, including an update to the classic Mickey Mouse floral portrait at the main entrance to Disneyland Park. Minnie’s Valentine Surprise is a new scavenger hunt that will have guests searching throughout Disneyland Park for hidden valentines that Minnie has left for Mickey. Also, enjoy special Valentine-inspired treats and new merchandise as Valentine’s Month continues through February 18th. Throughout Get Your Ears On-A Mickey and Minnie Celebration, there will be plenty of specialty food items and merchandise, including festive twists on classic items. 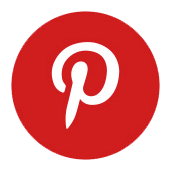 Look for themed clothing, pins, plush…and lots, and lots of Mickey ears!